By looking at sedimentary rocks, geologists can work out the environment of the time. Red sandstones on the Isle-of-Rum, a formation called the Torridonian, are representative of the oldest sedimentary rocks in Britain, formed a billion years ago in arid valleys on the super-continent of Rodinia. 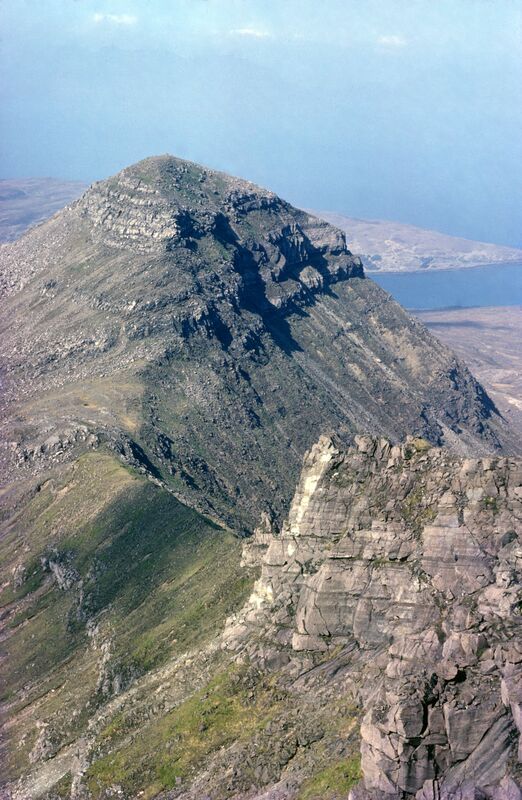 On the mainland, north of the Great Glen, sedimentary rocks of similar age, called the Moine Supergroup, have been changed by heat and pressure during the Caledonian orogeny into metamorphic rocks, but still preserve features such as ripple marks that tell us they were formed in shallow shelf seas surrounding Rodinia. At the end of this period Scotland was near the South Pole. It has been moving slowly northward ever since. The red sandstones of the Devonian period record our passage through an arid belt equivalent to the present-day deserts of southern Africa, and Australia. In the Carboniferous period, when our coal measures were formed, we were passing through a hot moist equatorial belt with great forests, and in the following Permian and Triassic periods, experienced desert conditions equivalent to the modern Sahara. Small outcrops of rocks from all these periods are found in Lochaber, in the Great Glen and along its south-west coastline. 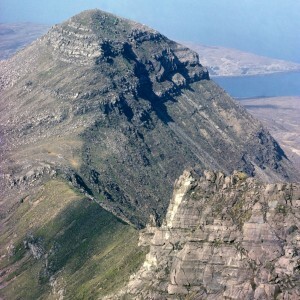 Limestones and shales of Jurassic age are found near Lochaline and Kilchoan and contain numerous fossils. Much of Scotland was a large semi-tropical island. Bivalves inhabited shallow coastal waters and ammonites were plentiful in the open sea. Later deposits of Cretaceous age include an exceptionally pure quartz sandstone which is mined at Lochaline.